← The Pearl of Como Lake: Bellagio and the Grand Hotel Villa Serbelloni. 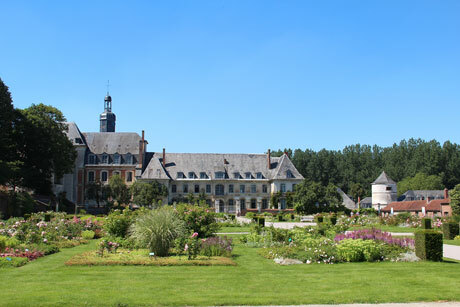 This region is both bucolic and regal, and it includes many attractions and many activities, but especially many lovely areas and oasis of peace, such as the Bay of Somme, which is considered one of the most beautiful bays in the world, wide and sparkling, with its sand dunes, marshes, gothic buildings and endless fields. The bay takes its name from the Somme river that runs through it and finishes into the English Channel. The Somme has a great heritage and historical wealth, such as archeology, prehistory, stone and brick castles, museums and caves. You should visit the natural park of Samara Prehistory , the Jules Verne’s home or the Museum of Picardy. There are also many activities that can be practiced, such as walking, cycling, canoeing-kayaking, to discover the natural heritage of the Somme. It also has an oceanic, wet and cool climate and a picarde architecture of an extraordinary beauty which frames the surrounding places, where we find many particular towns, such as Saint-Valery-sur-Somme, or Mers-Les-Bains, where the atmosphere is that of the Belle Epoque. 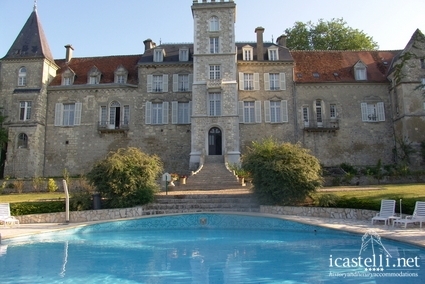 In Picardy, in fact, your stay can be only pleasant and based on relax, such as in La Tour du Roy, which is a hotel of an extraordinary luxury, where many famous personalities stayed, or in the Chateau de Fère, a first class luxury castle, in the countryside, that will make you live the atmosphere of a charming past. This entry was posted in Historic and Luxury Castles, France and tagged chateau de fère, holidays bay of somme, hotels france, hotels francia, hotels mers les bains, hotels picardy, hotels piccardia, hotels saint valery sur somme, la tour du roy hotel, vacanze baia della somme. Bookmark the permalink.